Don't know what to put on your wish list? I'll show you 15 items I have in my kitchen that I just couldn't live without. Not everything here is exactly what I own but if I couldn't find it I found you something comparable. Show your friends and family these items or buy them for yourself. No one said you couldn't buy your own gifts! All items are available to purchase directly through the Amazon affiliate links under each of the individual photos. 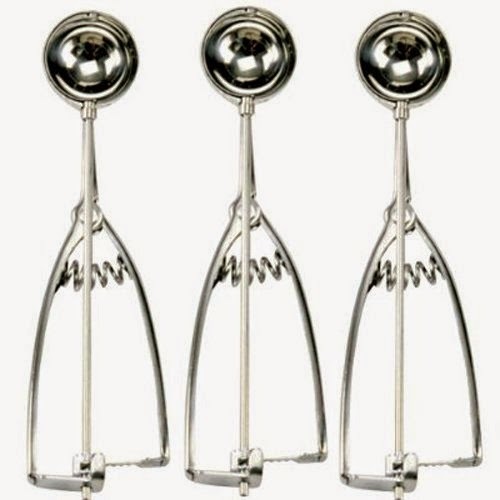 These cookie scoops are great for cookies, muffin/cupcake batter, and meatballs. 3 sizes means more ways to use them. Cast irons pans are great on the stove for getting a great crisp on your potatoes, cooking up meats, and you can throw the whole deal in the oven! I have pans in 8", 10", and 12" (which is almost 15"a the top of it's slanted edges!) I can cook 5 pounds of ground beef in that one. Cast Iron pans get hot and rather than remember to reach for a pot holder before I grab the handle I use these silicon handles. They slip right on and can be taken off to be cleaned or before you put your cast iron into the oven. I pack lunches for my family and absolutely love these. They go from freezer, to fridge, to microwave easily. 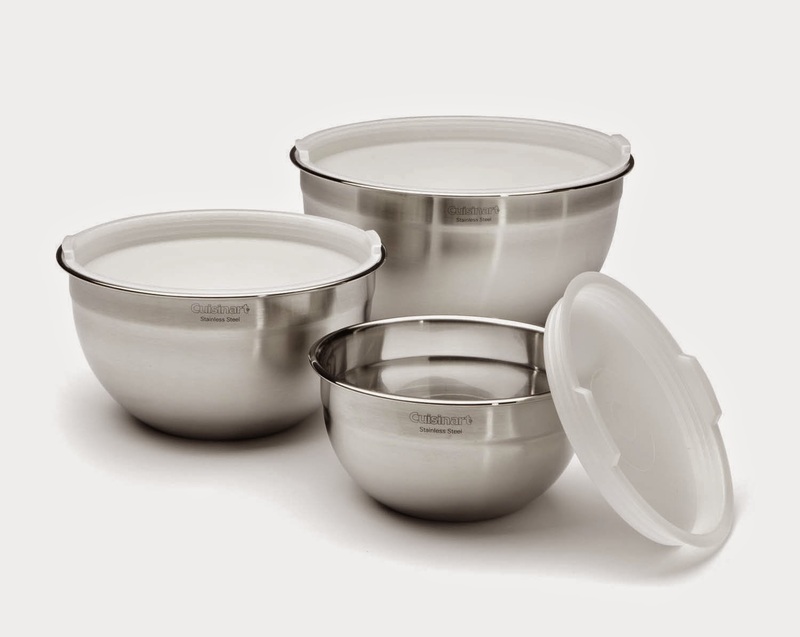 They are sturdy and the lids don't change shape or warp in the dishwasher. They nest nicely for storage in your cupboards and stack with lids in your fridge and freezer. 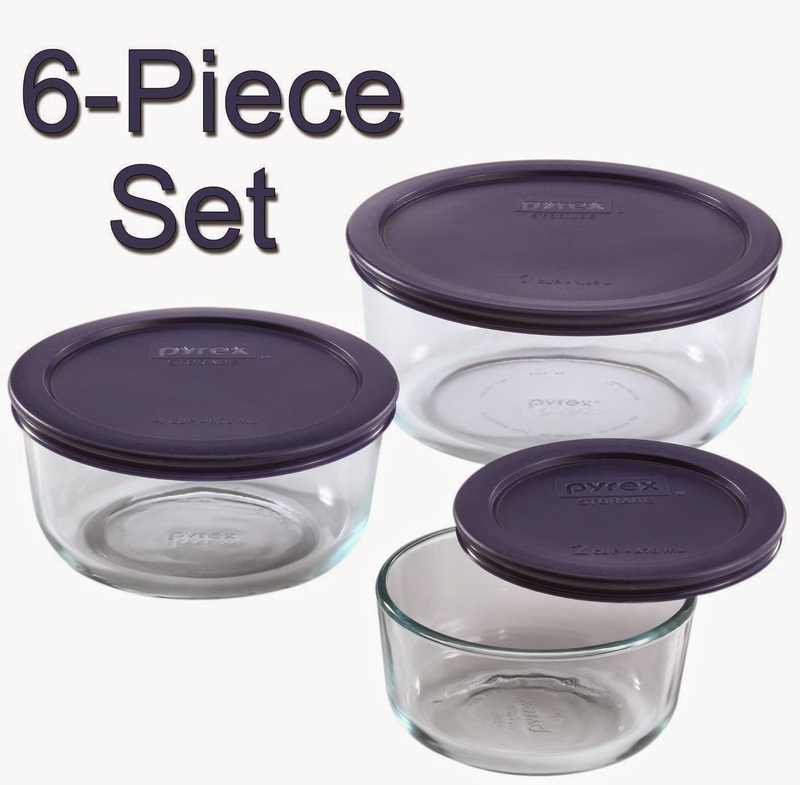 This set includes 2-cup round dish, 4-cup round dish, 7-cup round dish, and 3 lids. 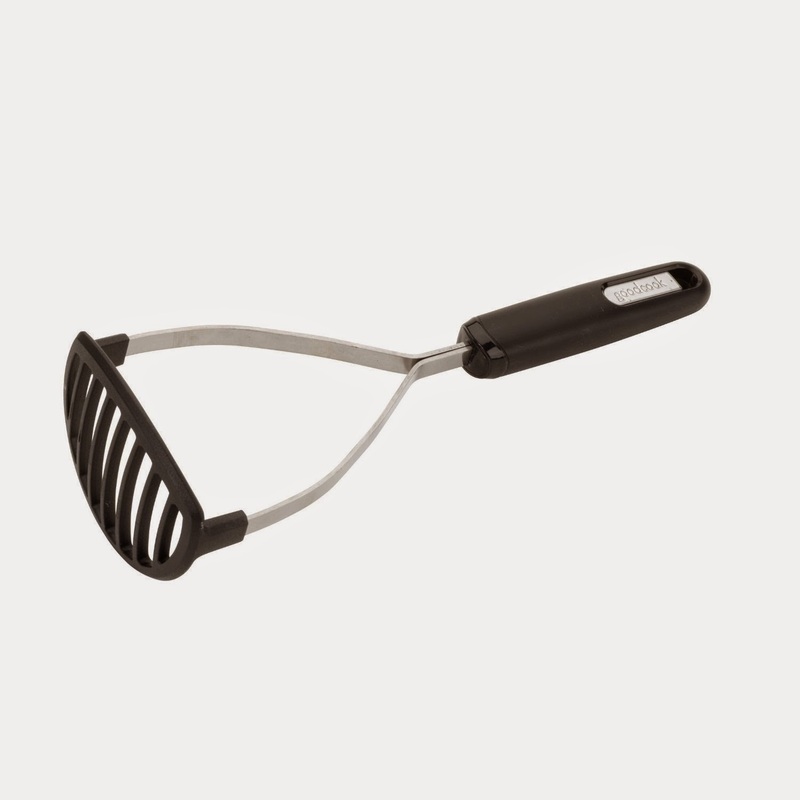 A potato masher is great for...well...potatoes! Boil your cut taters (preferably Yukon golds) with the skins on and then add butter and sour cream and smash just a bit. We like the texture of smashed potatoes. I also use this to make my sloppy joes. Ever try to peel a butternut squash? They are tough! Perhaps you've slipped off of what you are trying to peel. 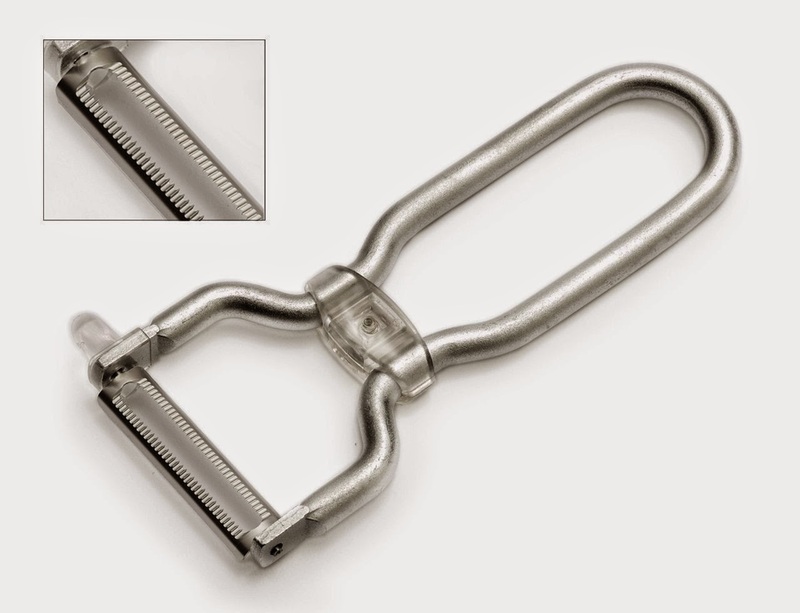 No more with a serrated peeler. This one is very similar to the one I own. My only warning is that you need to watch your thumb and fingers, it'll grab skin too if you are moving to fast or not paying attention! Yes, I speak from experience. Mixing bowls with lids are a must. You can mix ahead and store. This set has 3 sizes so you can chose what you need for your job. You can also use them as double boilers. The rounded bottoms sit nicely on saucepans of water. 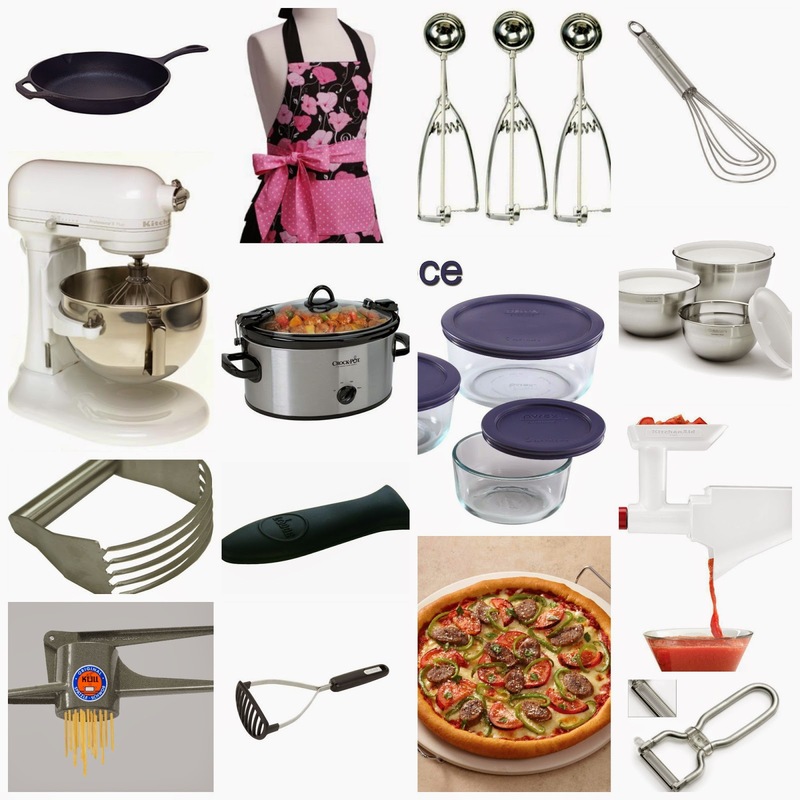 My ultimate appliance list would have a KitchenAid mixer right at the top! 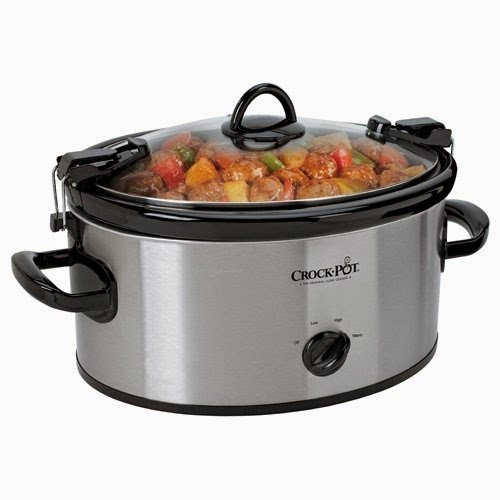 They come in 3 different sizes and right now their 5 qt and 6 qt size on Amazon.com have a $50 mail in rebate. Score! This little beauty saves me time and yields more apple to applesauce ratio than I ever could with my chinois (colander type press.) 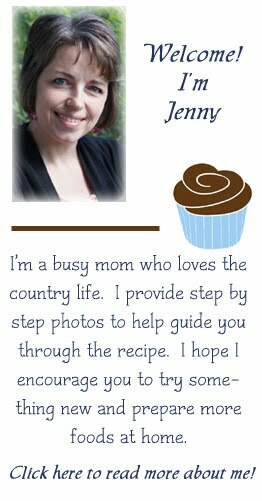 I make 150+ quarts applesauce and 25+ quarts of pear sauce each fall! 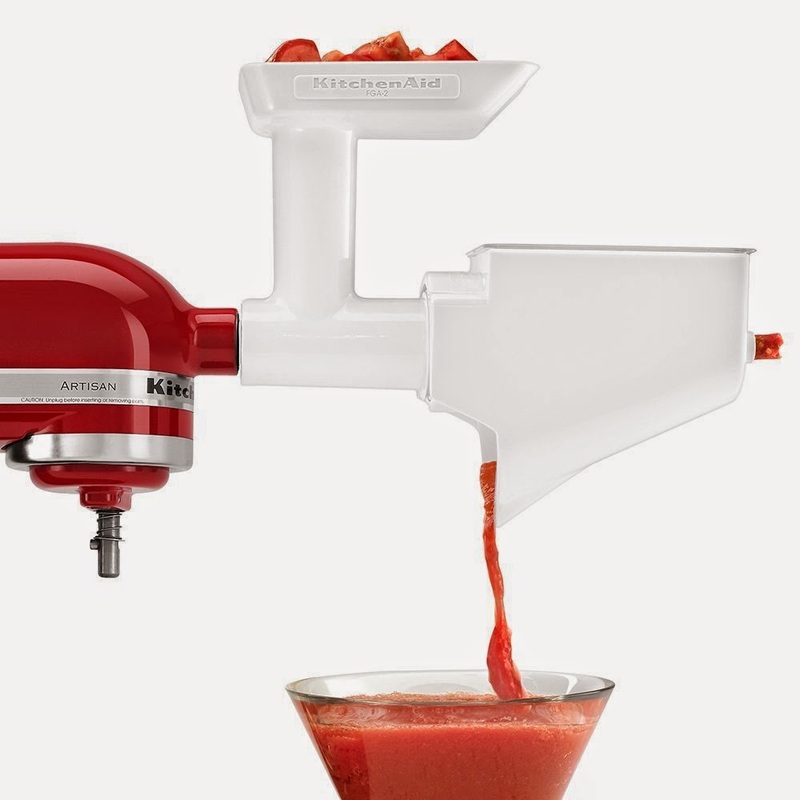 This one also has a grinder so if you take off the fruit auger and attach the plates you can grind with it. To make the perfect pizza indoors you need a stone. No more soggy crust and it bakes quickly. Heat in a 450 degree oven, then slide your pizza on. 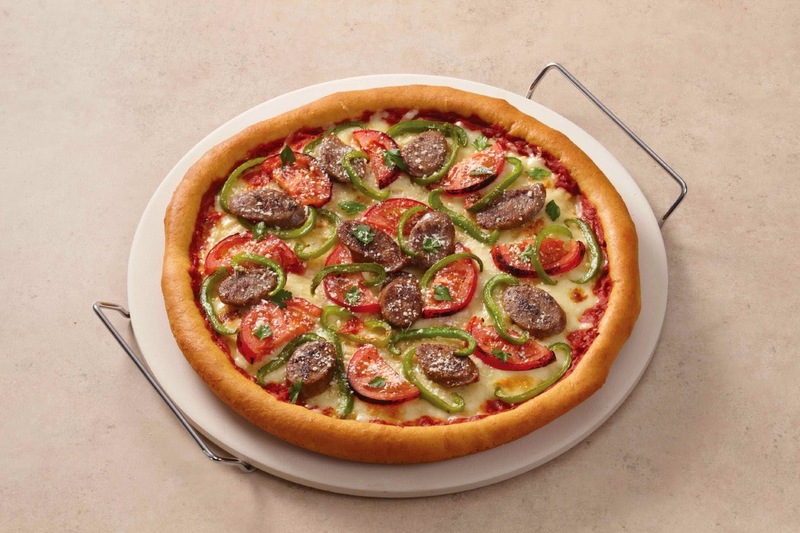 10 minutes later you have your own homemade pizza, just the way you like it! I leave my in the bottom rack of the oven when not in use. It catches drips from other meals. 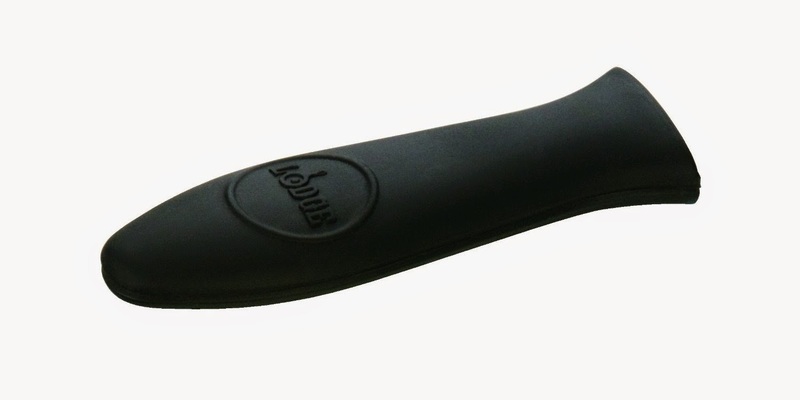 When you are ready to clean a little water and a plastic scraper is all you need to get off the burnt bits. 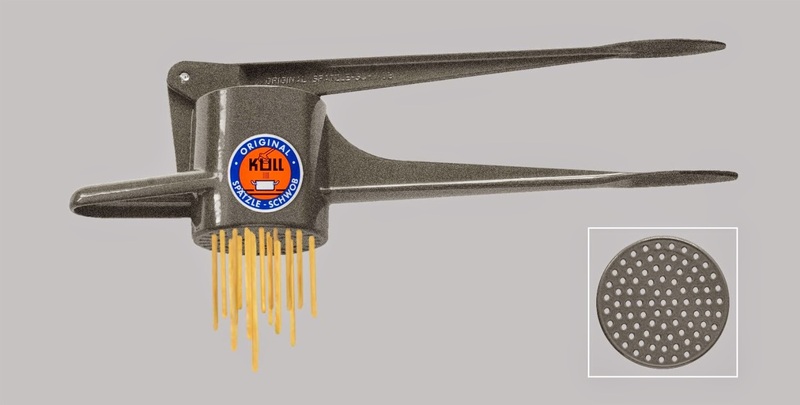 Authentic German noodles call spaetzle are easily made with this. Those chefs on TV using colanders to push little pieces through get short little noodles and these will be long, just the way they are supposed to be. 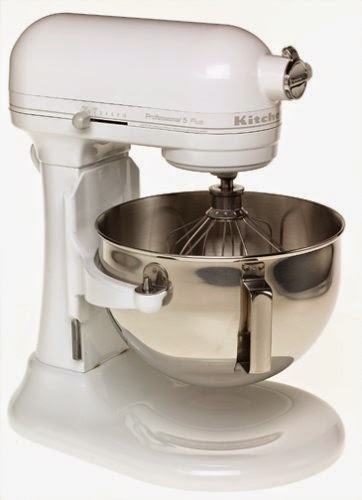 If you don't have a food processor or don't want to dirty its appliance bowl, a pastry blender will do nicely to cut butter and shortenings into your pie crust, biscuit dough, and crisp toppings. These thin blades will ensure your fats cut and not mush. 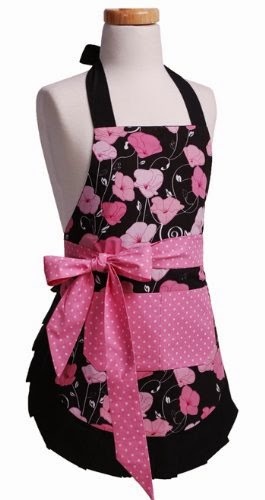 Aprons are fun and functional. I wear my aprons every time I cook or do dishes. This one would be great to put on when guests arrive and you've already done the heavy mess making and want to put on pretty one. My slow cooker gets use the most to make chicken broth. This one is a great size to use. I really like this new style that has the travel feature built right in rather than the long rubber bands I seem to always be losing. 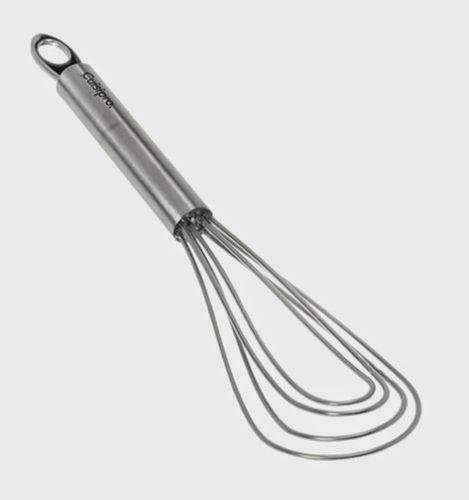 Last but certainly not least, a FLAT whisk. 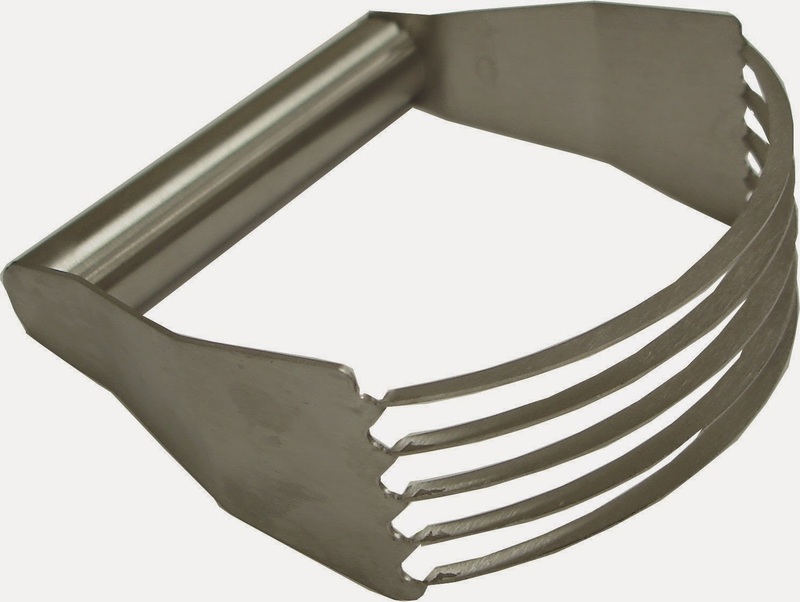 Why a flat whisk? I find it better not to slop my gravy or sauce all over when using a skillet and I can get into the edges and scrape out the little bit that get stuck in the corners. 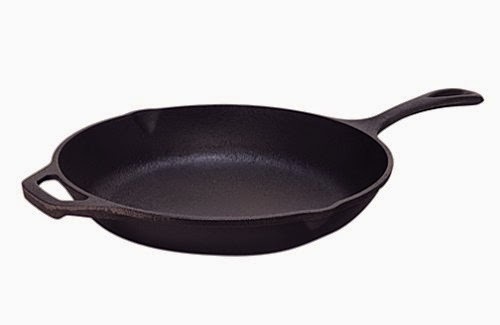 A silicon coated one like this will insure your non-stick pans don't get scratched. *This post does contain affiliate links. If you do make a purchase through my link then I will make a small percentage of the sale at no cost to you. Thank you for supporting my blog. I never knew the wonders of the flat whisk until I bought one and then a chorus of angels sang "hallelujah!" no more messes! !